Nationally ranked Master of Health Services Administration program in Healthcare Management Degree Guide. 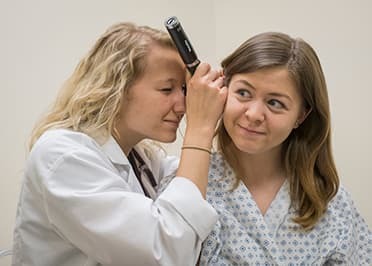 Our College of Health Professions and McAuley School of Nursing are unique, unparalleled places to be during a time of increasing demand for health professionals. Our faculty are experts in their field, whether it is nursing (with numerous subspecialties), physician assistant, nurse anesthesia or health services administration. Since our mission is to prepare you as professionals who will be leaders in your field, our faculty know you and pride themselves on being accessible to you throughout your education. They will provide you with the 1-on-1 mentorship and guidance that will move you along the path to excellence. 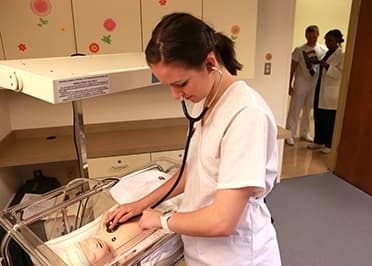 Our history, which is over a 60-year legacy of delivering quality health professions and nursing education, shows a strong track record of exceptional education through the alumni who have made a difference in the health of countless individuals, families and communities in our area, state, region and nation. Read more in the Message from the Dean. We are an urban center of academic excellence distinguished by our students and graduates. We are a Nurse Managed Health Care Center. 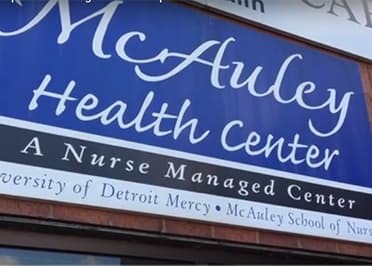 The center is staffed by certified nurse practitioners and is assisted by graduate and undergraduate nursing students, providing services to underserved community members on Detroit's east side. For those looking for extensive opportunities, Detroit Mercy provides some of the best. Clinical, co-op and internship experiences are integral components of each of our program's curriculum. Detroit Mercy offers a broad variety of resources designed to assist you personally and professionally.